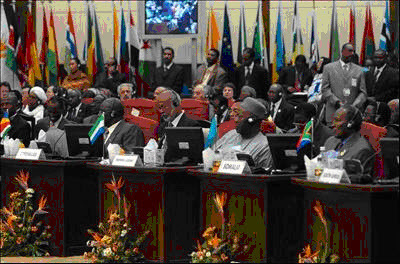 The 15th African Union Summit is currently taking place, from the 19th to the 27th of July in Uganda. The summit is being held in Munyonyo, about 12 kilometers south of the Ugandan capital of Kampala, which was the site of twin bombings at viewings of the World Cup two weeks ago on the 11th of July. Though the theme of the summit focused on health and development, reports emerging from the conference indicate that the recent bombings have taken precedence in the discussion for the diplomats in attendance. A moment of silence was observed in honor of those killed by the attacks, which were credited to the Islamist extremist group Al Shabaab, based in Somalia. The attacks have led to speculation about the strength of Al Shabaab, who have never before committed an attack outside of Somalia. Some argue that the attack was planned and carried out under weakness, but many reports and observations imply otherwise. It is widely believed by experts in the field that Al Shabaab’s greatest advantage is the weak Transitional Federal Government in Somalia, which has failed to provide viable governance and protection for Somali citizens. Perhaps the unfortunate attacks will raise awareness and action towards the growing threat of terrorism emerging from the Horn of Africa, a front in the ‘War on Terror’ that has received little mainstream attention. It is no secret that Somalia is a failed state. 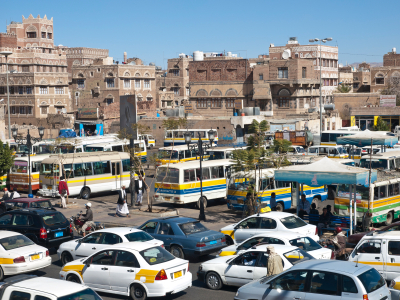 Having no sincerely functioning government since the outbreak of civil war in 1991, the region has been in a state of turmoil for nearly two decades. Called a ‘safe-haven for terrorists’, a ‘hotbed of crime and drug trafficking’, and a ‘breeding ground for pirates’, Somalia has earned a reputation as the Wild West of East Africa. 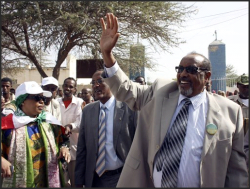 However, in a small region in the north of Somalia, the Republic of Somaliland has just held what the international community has deemed free and fair elections, in which Ahmed Mahamoud Silanyo, the leader of the Kulumiye Opposition Party carried a decisive victory over the incumbent, Dahir Riyale Kahin. This was Somaliland’s second Presidential poll since the region declared its independence in 1991. Although Somaliland is not recognized by any international governments, its newly elected President holds hope that the prospect of Somaliland becoming international recognized will one day become a reality. Here, listen to him speak to BBC World Service about his victory and hopes for the future of Somaliland.